None of the occupants were wearing a seat belt at the time of the collision. 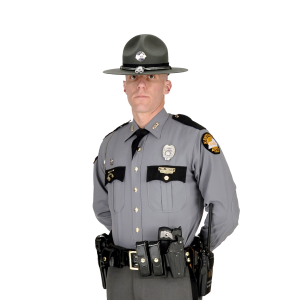 Woolum, KY. (December 18, 2018) Tuesday December 18, 2018 at approximately 2041 hours, KSP Post 10 received a call from Knox County Dispatch requesting assistance for a fatal accident on KY N11 near the Hammons Fork intersection. Trooper Frank Russell and Trooper Josh Messer responded and began an investigation. Preliminary investigation indicates a gray 2005 Honda Civic operated by Amber Hacker (20) of Williamsburg was traveling south bound on KY N11 when she crossed the center line striking the guardrail, traveled back across both lanes exiting the roadway a second time, collided with a rock embankment, overturned, and came to final rest on its top in the south bound lane. It was determined there were a total of five occupants in the vehicle. One rear passenger, Dale Taylor (45) of Barbourville, was pronounced deceased on scene. Three other occupants including the driver were transported by Knox County EMS to Baptist Health in Corbin for treatment of their injuries sustained during the collision. Two occupants were later flown to UK Medical Center in Lexington, KY, while the third refused treatment at the hospital. None of the occupants were wearing a seat belt at the time of the collision. Alcohol and drugs are suspected to be a contributing factor. Criminal charges are pending. Collision is still under investigation by Trooper Frank Russell. Assisting at the scene was Trooper Josh Messer, Deputy Hunter Luttrell, Knox County EMS, Richland Volunteer Fire Department, and Coroner Mike Blevins.